What did you do when you were eighteen? THE SCENE: If you were the son of R&B great Johnny Otis, you were releasing your third album. As a kid Shuggie Otis spent years playing guitar in his father’s band, receiving an enviable musical education. His previous album, 1970’s Here Comes Shuggie Otis, was a charming blues entry but Freedom Flight was something else entirely. Using the blues as a starting point, Otis effortlessly blended California’s folk, funk and orchestral pop genres into a unified theory of music, composing and arranging and performing it nearly by himself. At freakin’ eighteen. Otis is a master guitarist, and his rippling fretwork buzzsaws through “Ice Cold Daydream” like hail on a windshield. His gentle, sunny voice is a mellow counterpoint to the aggressiveness of the track. Named for his desire to receive his girlfriends’ next strawberry-scented letter, this original version’s fragility is a revelation. The bells and “ooh ooh ooh ooh-oohs” all are present but its’ heartfeltness adds a tension missing from the more famous version. “Sweet Thang” features him playing barroom piano and western slide guitar in one ear and churchified organ in the othe rear, resulting in the effect of having an angel and the devil standing on your shoulders, chatting away. “Freedom Flight” is a rumbling and purring lullaby of sweet strings, chiming guitar and echoey sax. It’s grace and restraint allows it to command thirteen minutes without succumbing to tediousness. The overall mood is wonderfully unpretentious. He seems to have no idea how dramatically groundbreaking his music is, he’s just a kid having fun. THE FALLOUT: Although the album got props from other West Coast artists, it was received by the public with all the joy of a tax audit, and found no takers. Three years later Otis released his last album, the brilliant and equally genre-mining Inspiration Information, which only found an audience after its 2001 re-release. During a concurrent high-profile comeback tour, Otis’ inability to perform a complete or coherent song with his band, night after night, was the first public inkling that the unfulfilled prodigy within him had taken a dark turn. 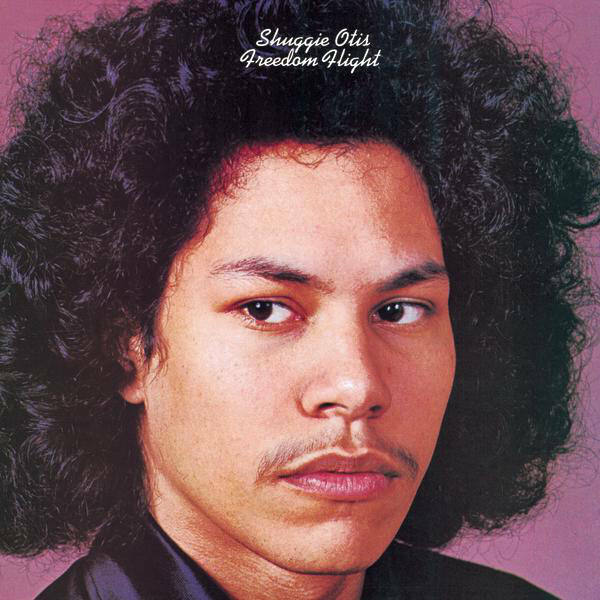 Beating both Prince’s and Stevie Wonder’s one-man show by both personal age and recording date, Shuggie Otis’ Freedom Flight is a genre without a name, an album without a time, and a voice without a future. NEXT WEEK: The first time Richard Pryor was on fire. Hi there, what a great synopsis of a truly wonderful album! I see you posted this in ’05, and, until now, have received no comments… echoes of the Shugster’s pearls cast into space, n’est pas? As good as this album is – I’m bathing in the sublimely gorgeous cosmic ambient spiritual vibes of the title track as I type this – I have to say that I prefer Inspiration Information, which, to my ears, is about as perfect a platter as a disc o’ vinyl could ever hope to be. … have a read/listen etc, and tell me what you think… I’d love to see this album reissued! I'm reaching back from 01/19/12, upon t6he passing of his father, johnny, and I recall being turned on to Shuggie back in early '70's and hearing some standout guitar work by him. Then, decades without a peep. This could be prime ground for a life of decline. I'm going to try to look up what's gone on with him these past 40 years. Incredible to think he's nearly 60 today. Wow! I understood that the man I was calling for could never ever come back. Because I understood that the man that I was calling for was dead.